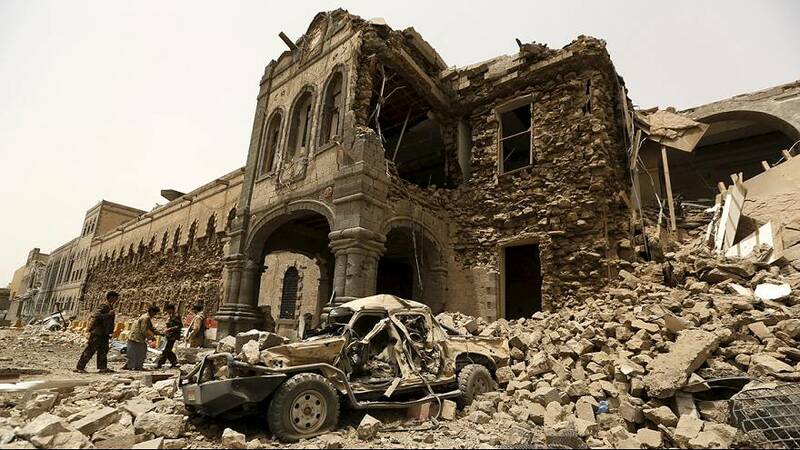 At least six people have been killed and buildings destroyed in Sanaa’s Old City after a Saudi led coalition air strike on the UNESCO World Heritage Site, the Yemen state Houthi rebel-controlled news agency, Saba reported. “I am profoundly distressed by the loss of human lives as well as by damage inflicted on one of the world’s oldest jewels of Islamic urban landscape,” said the organisation’s Director General Irina Bokova in a statement. Locals also condemned the action. “The criminal pilots are targeting unarmed civilians who are sleeping in peace. They say that they are targeting military sites, where are the military bases? Where are the rockets? Is there a base for a scud missile here?” questioned one man. The Friday morning bombing is the latest air strike, led by Saudi Arabia. They were first launched over 11 weeks ago against the Houthis who are now the dominant group in Yemen. UN sponsored talks are due to be held in Geneva on Sunday to try and find a solution to the crisis which has left 80 percent of the population in need of some form of humanitarian aid.